IsoPix is updated to 1.4.0 with several new features. The interface is now even more customizable. Also, you can now copy a selection once and paste it as many times as you like. It should be handy for many users. You may check the changelog below for other additions in this update. Enjoy! So I learned and did some web programming. It was an fun adventure. Today, I am happy to announce that Rapid Dictionary is launched! There is also a English-Chinese dictionary version of it that instantly gives you the Chinese definition instead of the English one. Happy lunar new year! Today is the first day of the year of the horse. 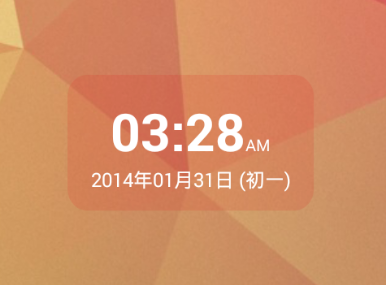 To celebrate, I release the Nice Simple Clock 1.9.0 update which includes a new option for including the Chinese lunar calendar date. :) Naturally, this new option is for Chinese systems only.